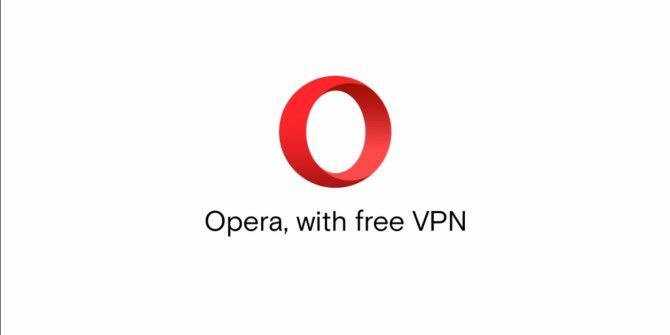 Opera now comes with a free VPN, Microsoft stops making the Xbox 360, Facebook enables group calling on Messenger, HBO goes free for Game of Thrones weekend, and the emotional power of video games. Opera, a Web browser we actually quite like Opera Has Good Features, so What’s the Problem? Opera Has Good Features, so What’s the Problem? There is something holding you back from clicking that "Make Opera My Default Browser" button. What is it? Read More , now comes with a free VPN (Virtual Private Network). This means Opera users can hide their IP address and bypass firewalls without the need to install a third-party VPN. Which, if it works, is huge. Right now, the free VPN is only available in the developer version of Opera for Windows or OS X. So, it could be temperamental until the bugs are ironed out. We also don’t know if there are any catches, beyond having to use Opera in order to gain access. Opera insists this is a “native, unlimited and free VPN client” built “right inside your browser”. It doesn’t even require an account, just the latest version of Opera running on Windows or OS X. Which seems too good to be true, quite frankly. At launch you can choose a server based in the United States, Canada, or Germany, but Opera is promising that “more countries will appear later”. We will be trying the developer version of Opera 38 for ourselves over the next few days, so keep your browsers pointed at our Browsers section for the full rundown. Microsoft will not be producing any more Xbox 360 consoles, with the company deciding to put the hardware out to pasture after a full decade of service. This means that once the inventory of existing Xbox 360 consoles has run out, you’ll only be able to buy one secondhand. The hardware may now be defunct, but Microsoft has committed to continuing to serve all of those gamers currently using an Xbox 360. To that end, Xbox Live 5 Ways In Which Xbox Live Has Changed Gaming – For Better Or Worse [Opinion] 5 Ways In Which Xbox Live Has Changed Gaming – For Better Or Worse [Opinion] It's difficult to remember a time when games consoles didn't connect to the Internet. I'm now so used to online features being an integral part of the gaming experience, that it's easy to forget that... Read More will remain usable, Xbox Live servers will remain online, existing hardware will still be supported, and all of the games will remain available to buy. This news suggests it’s time for Xbox 360 owners to think about jumping to the current generation of consoles, which means choosing between the Xbox One Xbox One Elite Bundle Review Xbox One Elite Bundle Review With a 1TB hybrid SSD and bundled Elite controller, is this the Xbox you're looking for? Probably not, but the controller is fantastic anyway. Read More , the PlayStation 4 Sony PlayStation 4 Review And Giveaway Sony PlayStation 4 Review And Giveaway Ladies and gentlemen, the next generation of video game consoles is here, with the Sony PlayStation 4! Read More , and the Wii U Nintendo Wii U Review and Giveaway Nintendo Wii U Review and Giveaway Despite the increasing shift to mobile gaming, consoles are still very popular devices for playing immersive, graphics-intensive games; and that won’t change anytime soon as long as the major console makers continue to improve with... Read More . But with Nintendo already planning its next console, and both the Xbox One and PS4 rumored to be getting upgrades in the near future, you may want to hold off for another six months. You can now participate in group calls on Facebook Messenger, with up to 50 people involved at any one time. The feature is rolling out now, so to gain access you should update Facebook Messenger at your earliest convenience. To initiate a group call just tap the phone icon from within a group chat. While this is currently limited to voice calls, Facebook is expected to add group video calls in the not-too-distant future. After all, Skype, Google Hangouts, and Line (with up to 200 people Update Adobe Flash Now, You Can Still Buy Guns on Facebook... [Tech News Digest] Update Adobe Flash Now, You Can Still Buy Guns on Facebook... [Tech News Digest] It's time to update Adobe Flash (again), guns are still available on Facebook, Wikipedia's iOS app gets better, call 200 people at once on Line, and Dynamo creates everyday illusions for Samsung. Read More ) all already offer group video calling, making this one area in which Facebook Messenger is lagging behind the competition. This weekend sees the return of Game of Thrones, with the first episode of the sixth season of the epic show airing on HBO on April 24. And to celebrate, HBO is free for non-subscribers from Friday night until Sunday night. Which is great and all, but also a cynical move from HBO. HBO knows how huge this show is, and is using Game of Thrones as an opportunity to get people hooked. Unfortunately, anyone who does get drawn in will need to subscribe to HBO to watch the rest of the season. At least if they want to remain on the right side of the law. And finally, it’s easy to forget/ignore the fact that video games are an artform 5 Games That Remind Us That Video Games Are Art 5 Games That Remind Us That Video Games Are Art Art is one of the few things in life that could arguably be considered 100% subjective. One man's art flop is another man's masterpiece. It's strange to think of video games as art, especially since... Read More just like movies and music. Which means they have the power to affect people in lots of different ways. However, it’s rare to hear a story of video games helping someone move on from grief, which is what makes this short film a must-see. Will the lure of a free VPN encourage you to try Opera? Are you sad to see the end of the Xbox 360? Are you likely to use group calling on Facebook Messenger? Will you be watching HBO for free this weekend? Have you ever got emotional while playing video games? Unfortunately, the 360 turn crappy after 2008. I used to love the console but the ps3 destroyed it. Then I got back into PC gaming and am loving it. I own the ps4 and x1 but I am severly underwhelmed by them. Most games are multiplats or remasters which play better on my PC. Opera with a VPN sounds interesting, but will wait until the bugs are ironed out (if ever). Xbox360? who cares?? There are other non-micro$oft options. Or I can do without it. Waiting to see whether the latest distro of Ubuntu is as good as first reports say. The one thing that all ways like a bought Opera it was always secured unlike the others. I could turn up the security settings, now days it is just like any other web browser. I am still using Opera as my default, but I am moving to Vivaldi. Some of the features that I like Opera have been removed, to be the fastest. I always liked the community but lately it is like Opera is driven by trend setters, not by navigators. And the privacy has gone to hell in hen basket, I am dropping completely the windows. And as far where to download files I use for a fresh install ninite for years. And for the rest just the official web place, major geek, file hippo, are not bad. But they are not always up to date. For years the only thing holding me in windows, was gaming. That is no longer the case, steam made it all possible along with emulator and now more drivers like vulkan. For years I had better support in my work under Linux and Bsd then that of windows. So what dose this mean for me, I will no longer have to format my hard drive to zero every 3 months. Reinstall with updates from and image plus then install all new updates. Then dealing with more new holes and or crashes do to some unforeseen reason. Will I miss it windows NO, I multi boot into 6 other Os any way. The one thing is I have more room, and windows will now run under VR only. No need for updates any longer, just test what I need on windows then just reset the VR under Linux. Ho and under Linux yes It is Opera, sea monkey, midori, vivaldi. This will my last week under windows 7 ultimate 64 bit. In May it is fresh start no more dealing long update no more crashes no more waiting.